Is Your Computer Running Slow! Think you have got a Virus? Need Help to sort it out? Has it all got too much and you, feel like you are fighting a loosing battle, then give us a call. We are experts in computer repairs and laptop repairs we will get you back on your PC before you know it. 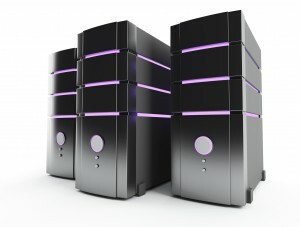 If you are having problems with a slow or not so responsive computer then give us a call and we can rectify this problem to get you doing things faster. If you need Computer Repairs done fast in the Brisbane area then we are the ones to call. We make sure all of your data and programs are transferred to the new computer or laptop? This is something that we can do for you saving you the hassle of buying software and re-installing on your new PC then copying all of your data back to this new PC. Give us a call to discuss your options as you will be surprised at how many you have. Possible virus or some type of malware infection? We remove these virus / Malware infections and give your Computer a tune up, so that you can do the things that you want to do faster and with no Ads or pop ups to irritate you while you surf the net. Contact Us Now We can recover your data or replace your hard drive without the loss of data saving you many headaches. Thinking of upgrading your operating system but want all of your programs and Data transferred over then we are the ones to call first.